This Norman Lindsay Facsimile Etching titled “Dreaming” was released in the year 2000, the original series has sold out. 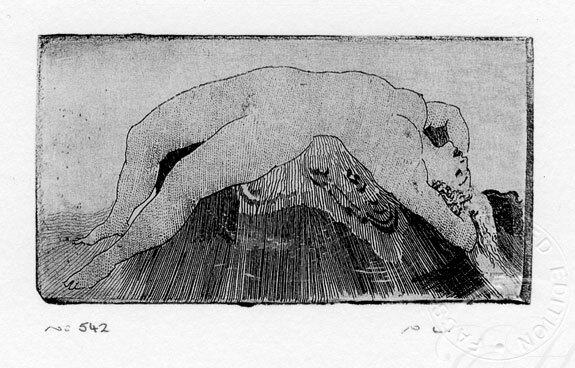 Norman Lindsay Etchings: Catalogue Raisonne, 1999, cat.74) Rose was the model. The original etching was never published.